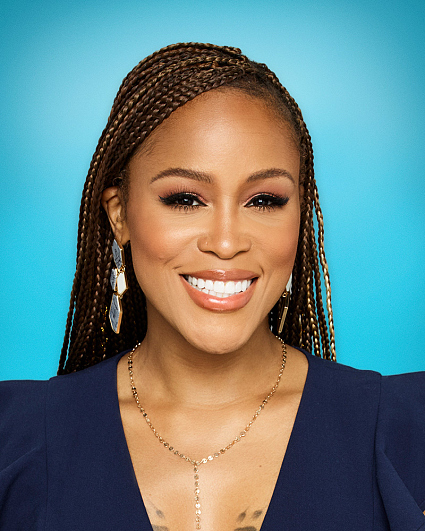 EVE is an actress and Grammy-award musician with an impressive hit list ("Let Me Blow Ya Mind," "Gangsta Lovin'," "Who's That Girl," "Satisfaction," "Tambourine," etc.) along with four multi-million selling albums (Let There Be Eve... Ruff Ryders' First Lady, Scorpion, Eve-Olution, and Lip Lock). She has earned rave reviews from critics and set "a new standard in hip-hop," according to Entertainment Weekly. Originally from Philadelphia, Pennsylvania she was the inaugural winner of the Grammy Award for Best Rap/Sung Collaboration in 2002 for the song "Let Me Blow Ya Mind," with singer Gwen Stefani. Eve was also number 48 on VH1's "50 Greatest Women of the Video Era" list.